Hong Kong is made up of 234 islands and divided within 4 main areas: Kowloon, Hong Kong Island, The New Territories and Outlying Islands. 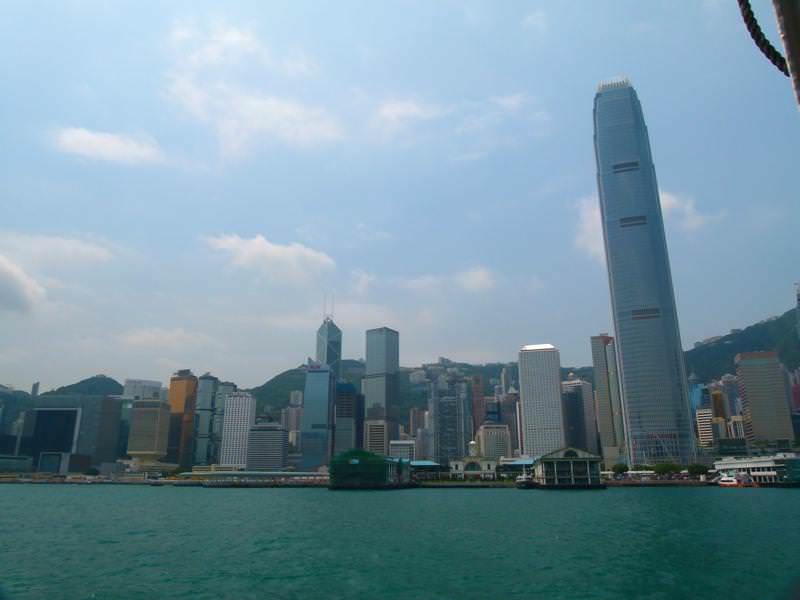 The Kowloon/Tsim Sha Tsui area is the traveler/budget part of the city. Here you’ll find many hawkers selling suits, massages, fake watches & handbags, etc. Apart from that, it’s a great area with many sights to see. 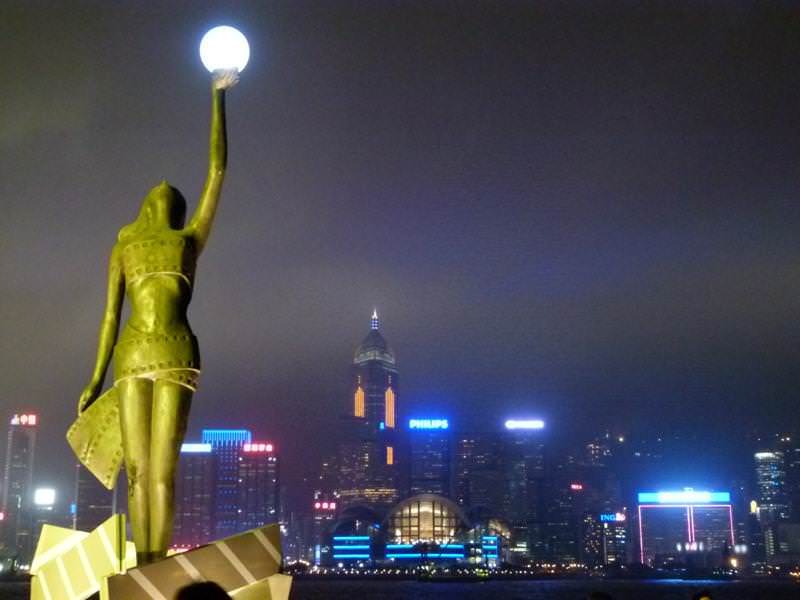 Walking along the waterfront promenade, you’ll see The Avenue of the Stars, Victoria Harbour and Old Clock Tower. It’s a very nice place to walk. Looking across from here you’ll see Hong Kong Island which has a light show each night when the sun has set. This is also where the Star Ferry leaves from to take you across to Hong Kong Island (a more scenic option than taking the MTR). Kowloon Park is massive and has a swimming pool, lots of greenery and a mosque as well. This island has loads to offer. Everything from high-end shopping malls to old monasteries to outdoor escalators! Make sure to see the Man Mo Temple, Times Square area, take the Peak Tram up to Victoria Peak and take a ride on the Central – Midlevels Escalator, an escalator that climbs 135 meters outdoors – Perfect for navigating the steep roads in this area. 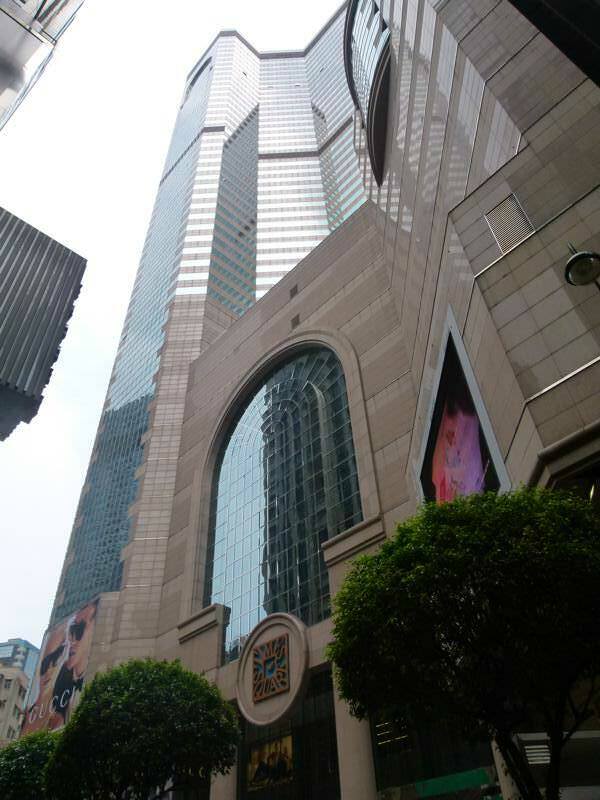 There are also many street markets, skyscrapers and other sights to see. This island is double the size of Hong Kong Island, yet it only has 50,000 people living there! 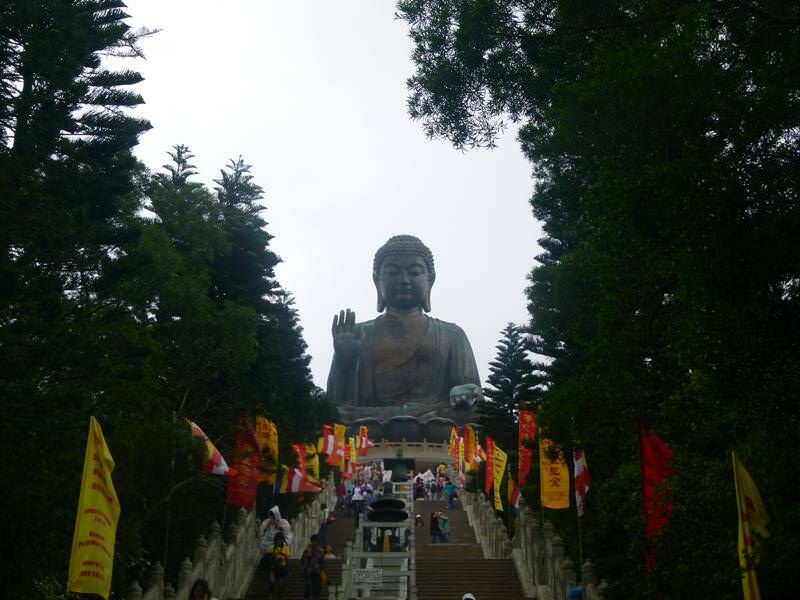 At 26 meters tall, the main attraction here is the world’s largest seated bronze Buddha. The views from the top of the hill that Buddha sits on are spectacular. 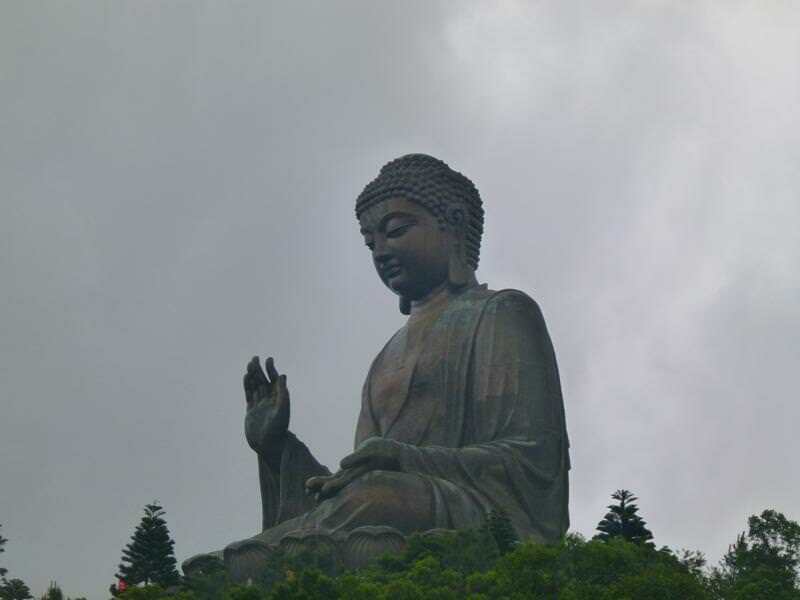 Take the MTR to Tung Chung station (14.10HKD), then switch to bus number 23 which will take you to Ngong Ping (Buddha area) 17.20HKD. 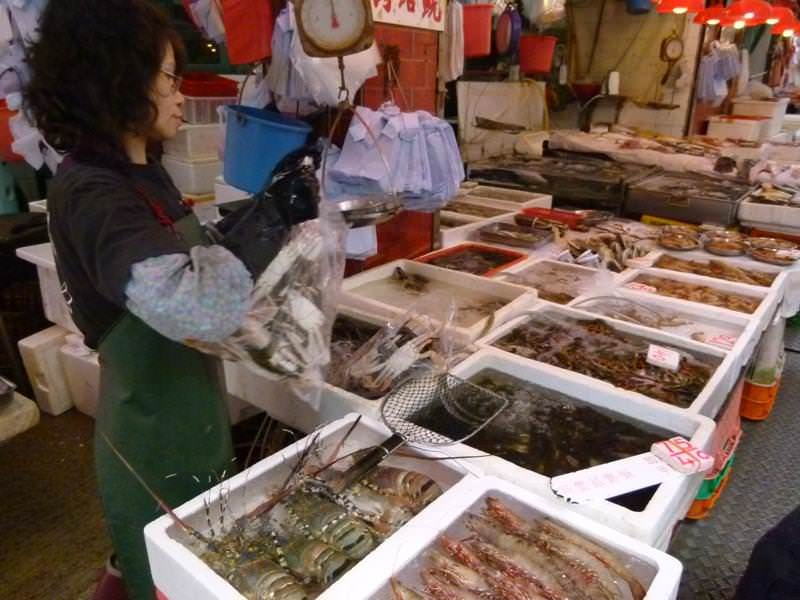 There is also a nearby fishing village at Tai O, but we ran out of time and couldn’t see it.